How many varieties of breads and crackers have you made sandwiches on? Check ‘em off! Here’s a full description of the Kidstir Sandwich Shop Kit if your kids are sandwich lovers (what kid isn’t?). You’ve gotta bring sandwiches along on a picnic – more in our Family Picnic Tips! Then, try our Summer Caprese Sandwiches or Cucumber Sandwiches, with a Sunny Quinoa Salad. Read our post on 5 Lunch Box Ideas if you want a couple more lunch ideas, like subs and pita sandwich alternatives. 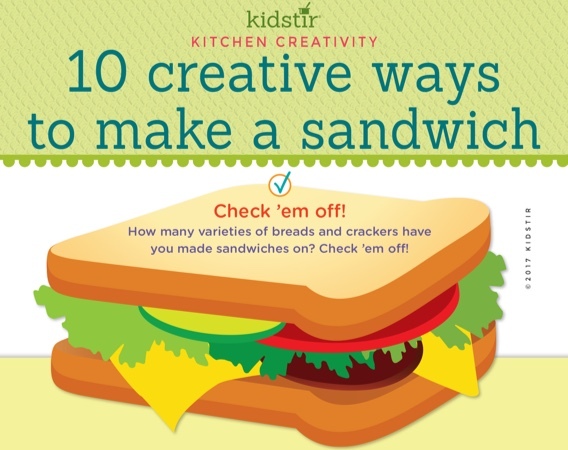 We’d love to offer Kids our “10 Creative Ways to Make a Sandwich” infographic for you to share on your blog. Just select and copy the code snippet below and paste into your next blog post. 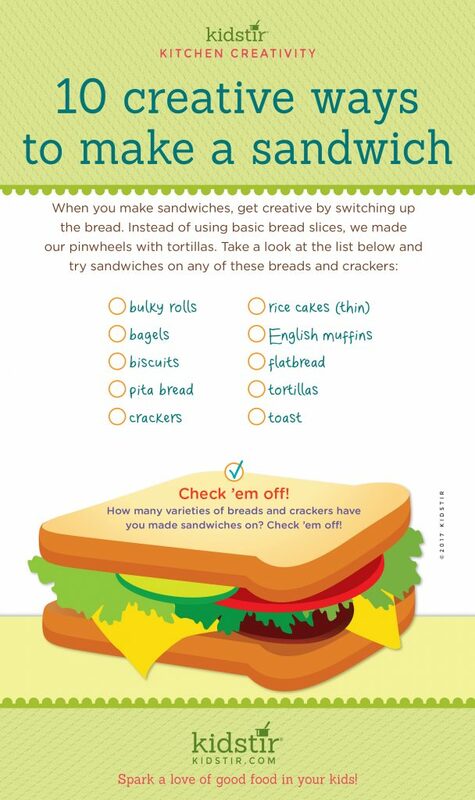 We’d love for everyone to share this page on social media or email using the buttons below so you can share our Kids 10 Creative Ways to Make a Sandwich Infographic!